It’s going to be produced in Sunderland but there are more reasons to go for Nissan’s cost-effective MPV than simple patriotism. 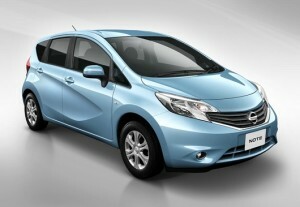 The 2013 will be more modern and stylish than its stoical predecessors. There’s the car’s Noteworthy (geddit) storage and plenty room for five grown-ups. A supercharged engine is expected to be added to the range the long-term but expect to see Nissan’s new MPV toward the year’s end. Going up against Nissan’s Juke and Skoda’s Yeti, the new Clio SUV might not even be called Clio, with Captur (a former name for a 2011 concept car) being mooted. The new Clio/Captur will be a little more muscular than Renault’s popular run-around. Expect to see a 0.9-litre turbo, 1.2 petrol and 1.5 diesel engine in this year’s offering. This 2013 newcomer took a bow at last year’s 2012 Paris Motor Show under the guise of the S-Cross Concept. The S-Cross was part SUV/part small family car, and this will be much of the same. The Europe-built 2 and 4WD motors will feature petrol and diesel engines. Debuting at the 2012 Delhi Motor Show, Ford’s SUV was never meant for Europe. 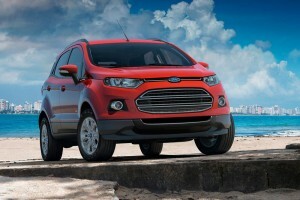 Luckily, a change of hearts and minds means the Ecosport, based on Ford’s Fiesta, is set to join Europe’s SUV bun-fight in 2013. Housing a three cylinder one litre petrol/four-cylinder 1.5 diesel, and front-wheel drive only, the interior is a little downmarket from the current Fiesta but that is unlikely to put Ford advocates off. The highly popular Qashqai is expected to get a makeover rather than a massive redesign for 2013… if it isn’t broken and all that. The company’s Hi-Cross Concept will inform any aesthetic changes. Front and four wheel drive and a 1.6l petrol engine will be on offer. Mercedes are bringing their E-Class up to date and readying the market for a re-designed S-Class later in 2013 and C-Class in 2014. The front will get a single-lens unit, bumpers, bonnet and grille. The eye-catching wheelarches have gone while a new four cylinder petrol engine will join the range. 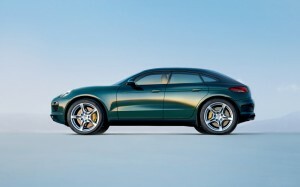 A mini Cayenne, this small SUV announces Porsche’s official entry into a most competitive sector. Using a similar engine to the Audi Q5 at launch, a diesel and hybrid could join the party later in the year. The 2013 X5 will house a new four-cylinder diesel, indeed most of the other changes are out of sight. There’s a new 2.0-litre four-cylinder diesel and a high-performance petrol and diesel M Performance model added to the range though 4WD continues. A lighter, re-designed Range Rover will be launched this year. Using aluminium construction, as much as 400kg could be saved and CO2 emissions reduced to under 200g/km. Also expect to see a 4.4-l V8 turbodiesel and a 5.0 supercharged petrol V8. The Italian company will launch two new saloons in 2013, the first is a bigger, better Quattroporte. V6 or V8 petrol and, for the first time four wheel drive, new Quattroporte will be joined by the weirdly named Ghibli later in the year – a £55,000 smaller, diesel-powered saloon. Some exciting cars coming out this year, look forward to see which one’s become popular and what people will have to say about them when driving them on a daily basis!